AELMI is proud to service Dallas, GA and surrounding areas including Marietta and Acworth. We offer many services including weed control, lawn fertilization, lawn aeration, landscaping, turf care, and commercial lawn care. We specialize in zoysia, bermuda and fescue grass as well as crepe myrtle trees. Leave your lawn maintenance to the turf masters and choose the best local lawn care company in Dallas. In addition to landscaping we also provide a lawn treatment program. Our lawn treatments are customized for your lawn based largely on the type of grass you have. Each treatment program consists of a combination of products that help promote healthy growth of your grass while preventing unwanted vegetation. No other lawn maintenance company will go to as great of lengths for the care of your lawn as our experts. 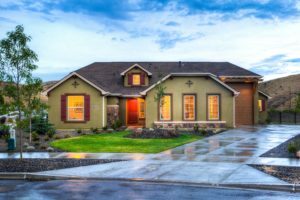 They will conduct a detailed examination of your property, and make program recommendations that are specific to the unique needs of your lawn environment. We can also offer Green Solutions which offers superior lawn care that is 100% safe for the environment and promotes a healthy, more robust lawn. Contact us today for expert lawn care in Dallas, Georgia.